Chris Abele is an American businessman and Democratic Party politician. He is the current Milwaukee County Executive. 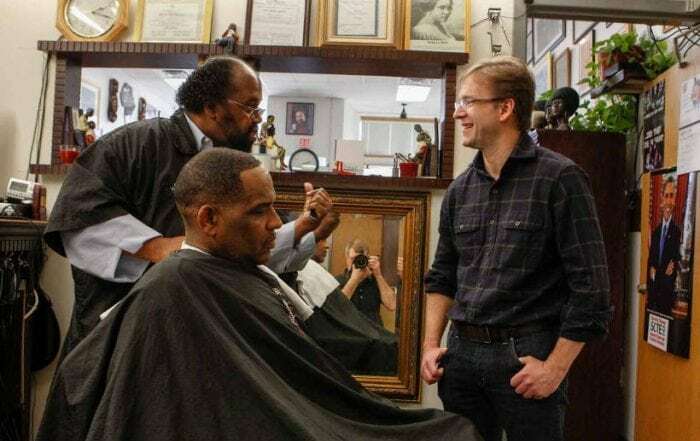 I was shooting Chris out in the Milwaukee neighborhood small businesses, including an African American barber shop where Chris knew the owner. 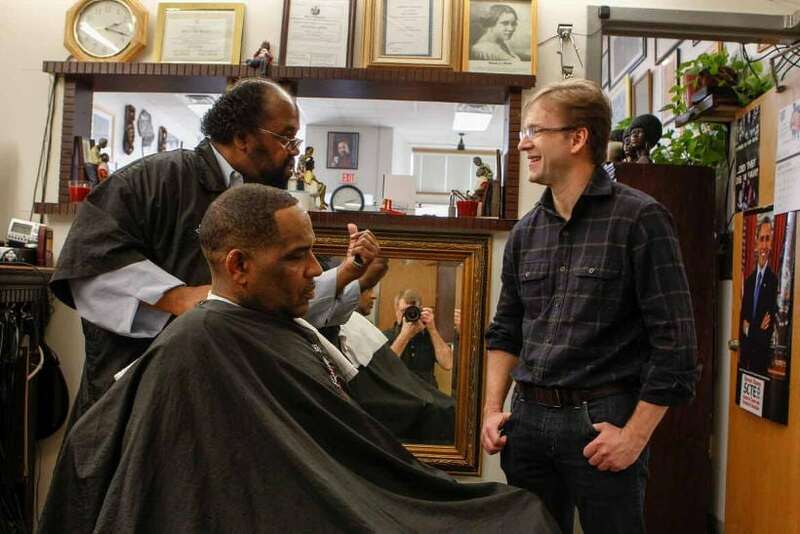 The owner’s chair is in the back separate from the front of the shop where 4 other barbers were working. There were lots of great inspirational photos on the walls and mirrors. I was trying to show Chris relating the owner and his customer and grabbed a few with me reflected in the shot. Chris won again in 2017. My work contributed to the direct mail effort.